NEW BRITAIN -- On Aug. 25, the Police Department launched an investigation into a vandalism complaint regarding a kiosk at the Iwo Jima Memorial off Ella Grasso Boulevard in Newington. Although the memorial statue sits in Newington, the kiosk is in New Britain. 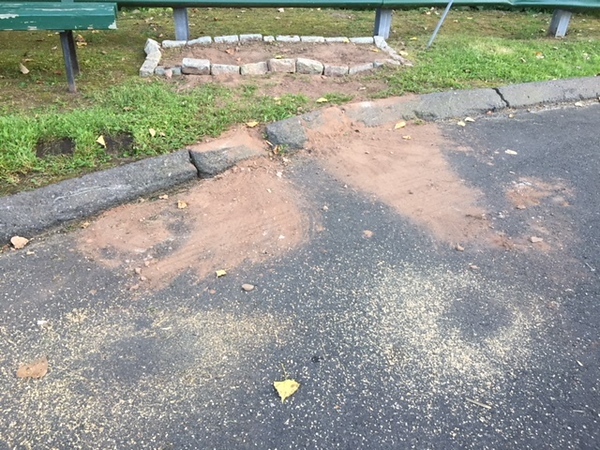 On Aug. 4, the New Britain Police Department received a separate vandalism complaint at the memorial site regarding a smashed lock box. Several days after the vandalism incident, the kiosk was removed without consent from members of the Iwo Jima Historical Foundation. Fortunately, there was no reported or observed vandalism to the memorial statue at that site. Posted in New Britain Herald, New Britain, Newington on Thursday, 30 August 2018 21:21. Updated: Thursday, 30 August 2018 21:24.